Indonesian great women and inspiring are the names that are suitable for 27-year-old woman namely Helga Angelina Tjahjadi as the founder of The Burgreens Resto which is one of the pioneering restaurants for healthy food in Indonesia. Awareness of maintaining health and having a healthy lifestyle is motivated for Helga to open a restaurant with a healthy food menu. Since childhood, Helga is often sick even until she is an adult. Bored and feeling he had to take medicine when he was sick, Helga finally decided to change his lifestyle by being vegan and managing his diet. Starting from there, his health condition gradually stabilized and was not easily sick. It is this personal experience that underlies how a Helga woman Angelina Tjahjadi has the intention to make herself intense to eat healthy food. After all this time having the intention and indeed concentrating on a healthy diet, that’s where he was. When he was finishing his studies in the Netherlands, he met Max Mandias who is now her husband. Incidentally, the husband is happy to cook. With Max, Helga decided to open a Burgreens restaurant. Since it was opened in November 2013, Burgreens has received a warm welcome from the public, especially those who want healthy food. There were also frequent events that invited the vegetarian community. Although engaged in the world of Food and Beverages, Helga said that the restaurant business he lived in was included in the concept of social entrepreneurship. 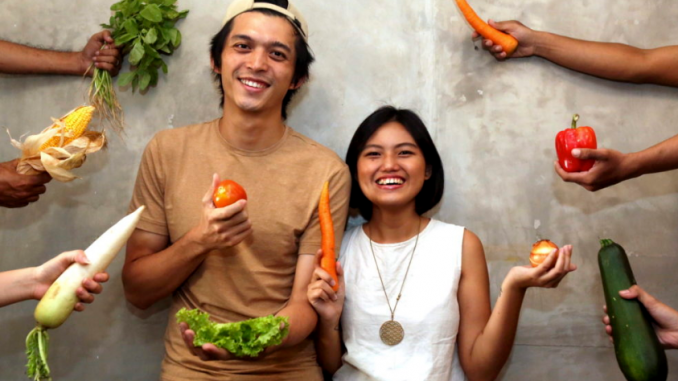 In addition to selling healthy food, Helga and Max also have big aspirations to be able to empower local farmers and women in their production. At present The Burgreens are growing rapidly even Helga Angelina Tjahjadi has won several awards starting from the Great Women’s Award Liputan6.com and entered the Forbes 30 Under 30 Asia list. Now Burgreens are becoming known by many people, so this business is relatively smooth. Although only combing clearly and certain consumer groups but now Burgreens has succeeded in having regular customers. Although it is still open in Jakarta now Burgreens has two branches and plans to re-open a new branch. Of course, this cannot be separated from the efforts and hard work of the owner to provide social impact to consumers to be more concerned about health.